Adopted on April 12, 1990. The Harney series was adopted as the Official State Soil of Kansas on April 12, 1990, when Governor Mike Hyden signed Senate Bill 96. The name "Harney" (meaning people) is derived from "harahey," an ancient Wichita Indian term for "Pawnee Indian," stemming from when Coronado journeyed across Kansas. Five years of strong grassroots efforts are responsible for obtaining this recognition. Because of the state's unique soil legacy and the completion of the state's most comprehensive soil inventory by the USDA Soil Conservation Service, it was proposed that a typical prairie soil be selected to serve as an acknowledgment to the great agricultural heritage in Kansas. It also serves as a standard against which other soils can be compared. Harney soils have the ideal qualities of prairie soils. 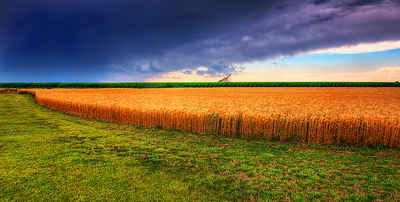 They are recognized as prime farmland and have excellent properties for producing food and fiber crops. These soils occur on about 4 million acres in west-central Kansas. Kansas is one of the top producers of wheat, grain sorghum, and silage in the nation because of Harney and other productive soils. Harney silt loam possesses the ideal qualities of a prairie soil. Prime farmland has the best combination of physical and chemical characteristics for producing food and fiber. Kansas has more acres of prairie soils than any other state. Harney silt loam covers almost four million acres in 26 west central Kansas counties. Some people consider soil to be Kansas's most valuable resource. Soil is why many nineteenth century immigrants came to Kansas and why buffalo found Kansas so hospitable. Kansas has more acres of prairie soils than any other state, and harney silt loam possesses the ideal qualities of a prairie soil. Prime farmland has the best combination of physical and chemical characteristics for producing food and fiber. Almost four million acres in twenty-six west-central Kansas counties contain harney silt. 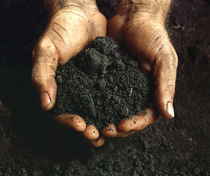 Soils are not easily renewed in nature. It takes many hundreds of years for an inch of topsoil to develop under prairie grasses. Unprotected crop fields can lose an inch of topsoil in just one or two years if exposed to wind and water erosion. 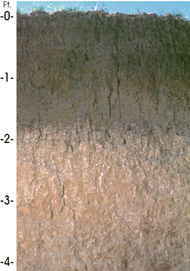 The Harney series consists of deep, well drained, moderately slowly permeable soils that formed in loess. These soils are on uplands on slopes that range from 0 to 8 percent. SERIES ESTABLISHED: Ford County, Kansas, 1962. The law designating Harney silt loam as the official Kansas state soil is found in the Kansas General Statutes, Chapter 73, Article 22, Section 73-2201. 73-2201. 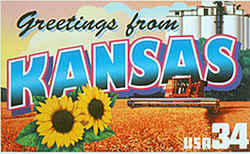 Official soil of Kansas. The soil known as Harney silt loam is hereby designated as and declared to be the official soil of the state of Kansas.